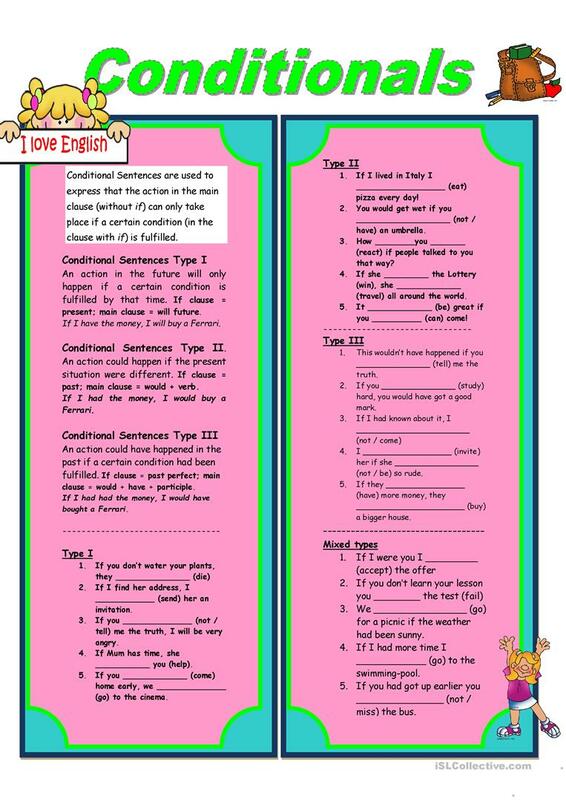 This ws consists of a grammar guide and 4exercises on conditional sentences (if clauses). It covers 1, 2, 3 conditionals. The above downloadable teaching material is a great resource for high school students and elementary school students at Pre-intermediate (A2) and Intermediate (B1) level. It is a useful material for teaching Conditionals in English, and is useful for enhancing your learners' Reading and Writing skills.